Whoopie pies have been taking a piece out of the cupcake market for a while now, and are found in tons of bakeries, where they were uncommon just a few years ago. The cakey discs used to make whoopie pies are often made free-form, simply by dropping batter onto a baking sheet and allowing it to spread into a roughly round disc. As the pies have gotten more popular, however, the bar has been raised on what they should look like and, as a result, whoopie pie pans are becoming much more popular. 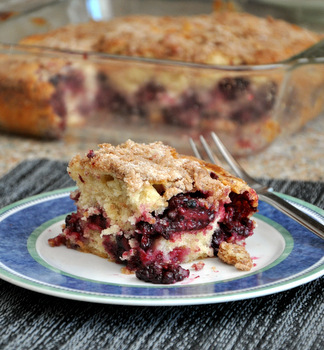 The pans come with shallow cavities that give your pies a consistent look, shape and size every time you bake. 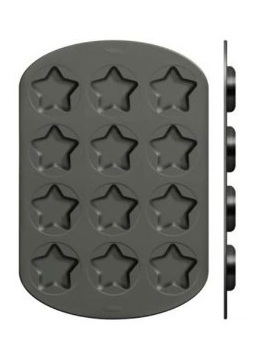 Most of the pans are round, but then there are pans like this Star Whoopie Pie Pan from Wilton. The star shaped pan lets you add some shape to your pies in a way that you can’t achieve just by piping the batter onto a baking sheet. Each of the cavities in the nonstick pan are less than 3/4-inch thick and your batter will spread to fill all of the points of the stars as the cakes bake. The finished pies are just as tasty as the round whoopies, but have a little more flair to them. When your not baking whoopie pies, you can also use this pan for other baking applications. You can use it to bake star-shaped cookies or brownies, muffin tops or even pancakes. 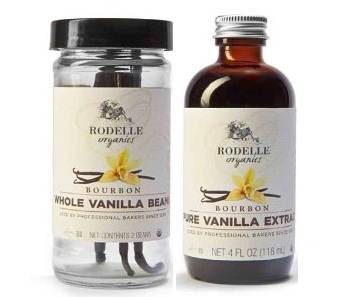 Next PostNext What is Bourbon Vanilla?